The Atomistic Theory of Matter, based on stable elementary particles, is a quantum theory in which only the sources of the interacting fields are quantized. This theory is in opposition to the quantum theories (QT) used in SM of Particle Physics and requires new Fundamental Principles in Physics, which is presented in the following article Fundamental Principles in Physics. 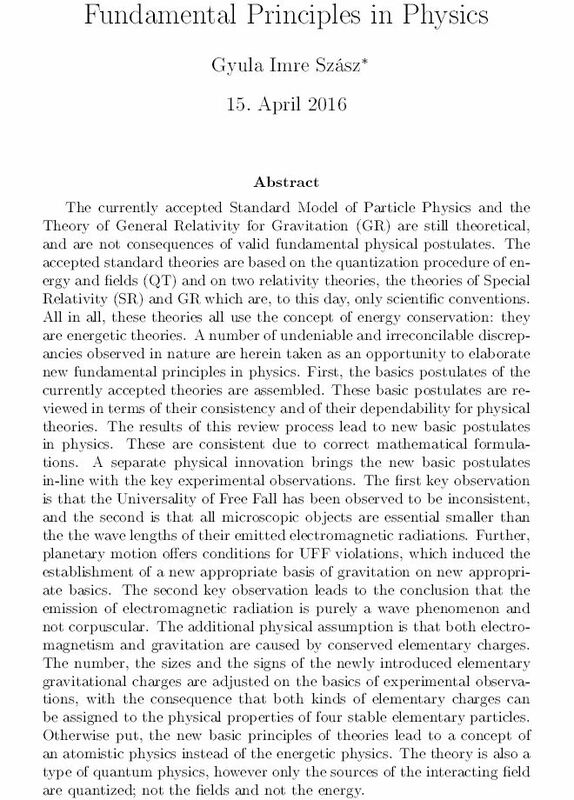 Read here the trial to publish this article in the Foundation of Physics.